This week it’s a walk on the naughty side, but with my usual veg infusion. You may think it odd to whack vegetables into cake, but I bet you like carrot cake, don’t you? And any of you who have made my lower fat chocolate and beetroot cake know such partnerships work (shameless plug). Parsnips, butternut squash and sweet potato are also pretty good – and pretty. Just ‘root’ around (sorry, it typed itself) in your fridge or garden if you want cakes and muffins with extra moistness, shelf-life, sweetness, fibre, nutrients and flavour. Warm spices such as cinnamon, allspice, cardamom, nutmeg and ginger work well with most vegetable-flecked sweet bakes. 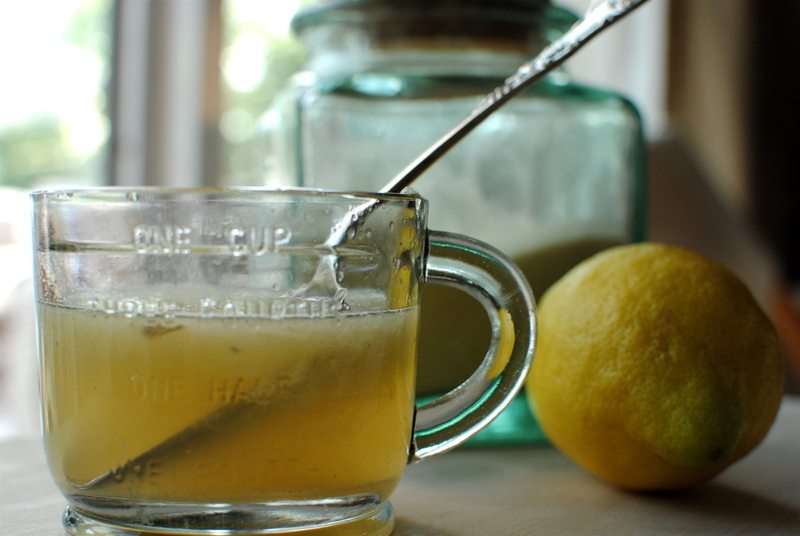 But today we are going spiceless and keeping it summery with lemon and elderflower. you can actually hear them grow. All very Little Shop of Horrors. I don’t have an allotment, but my fantastically green-thumbed friend Warwick always has a glut of courgettes at this time of year. And he kindly brings over as many as I can cope with. I cope beautifully by turning them into fritters, cakes, caponatas and relishes, as well as all the usual suspects. So, before all goes triffid-like – and maybe even if it does – give this little cake a go. Allotment or no. It’s perhaps too late to make your own elderflower cordial, but if you happen to be reading this in post-2011 June, here’s my easy recipe. Subscribers, I hope you are reaching for your homemade bottle of this early-summer nectar right now. For my US readers who may not have access to elderflower cordial (it seems to be a European thing), I think an equivalent amount of good quality frozen lemonade (defrosted) might be good, but will lack the floral note of elderflower. Or you could just do it with lemon only as described. This recipe has been a huge hit with my nutrition workshop attendees and I hope you like it too. Remember that although it has a vegetable and lots of soluble and insoluble fibre, there’s no getting away from the fact that this is a cake and should be enjoyed by most of us in moderation. 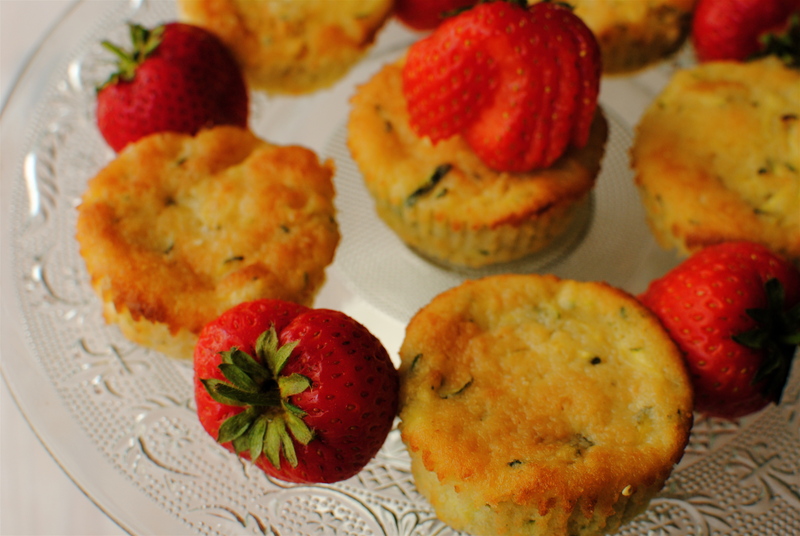 I make it easy on myself by scooping the batter into little muffin papers – perfectly portion-controlled. A little slice of summer. Enjoy responsibly! Preheat oven to 180C/350F; butter and line a square (22cm x 22cm) or equivalent volume rectangular pan. 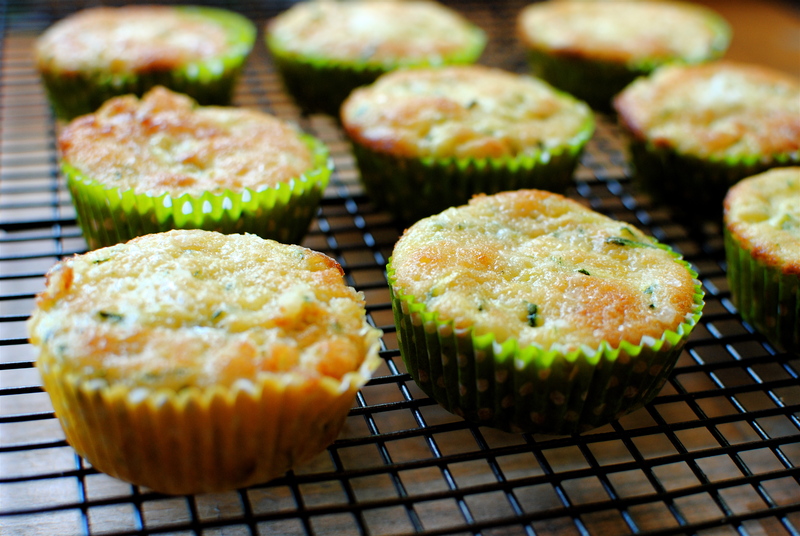 Alternatively, lightly oil a muffin tin for 14-16 muffins. Sift the flour and baking powder; stir in the oat crumb. 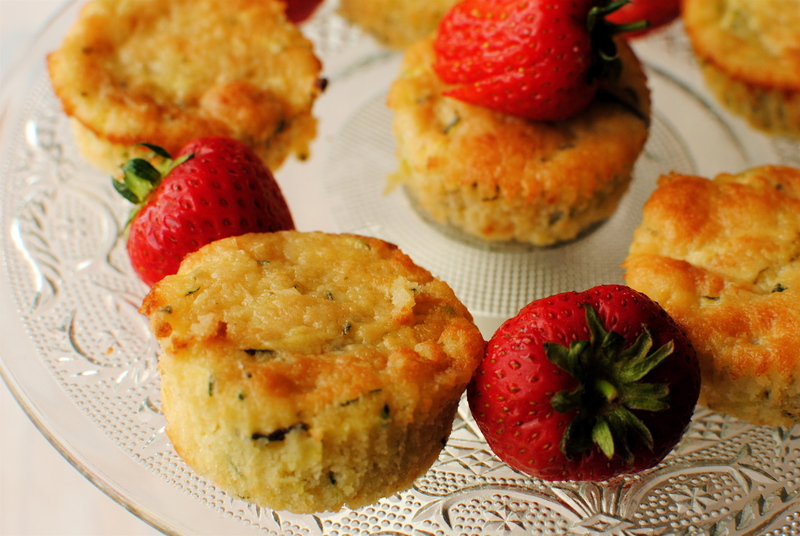 Beat the butter and sugar with electric beaters or in a freestanding mixer, until light, pale and fluffy. In a separate bowl, whisk together the eggs and elderflower. Add one-third of the egg mixture and one-third of the flour and beat well. Add the remaining flour and egg mix in thirds, mixing gently with each addition. 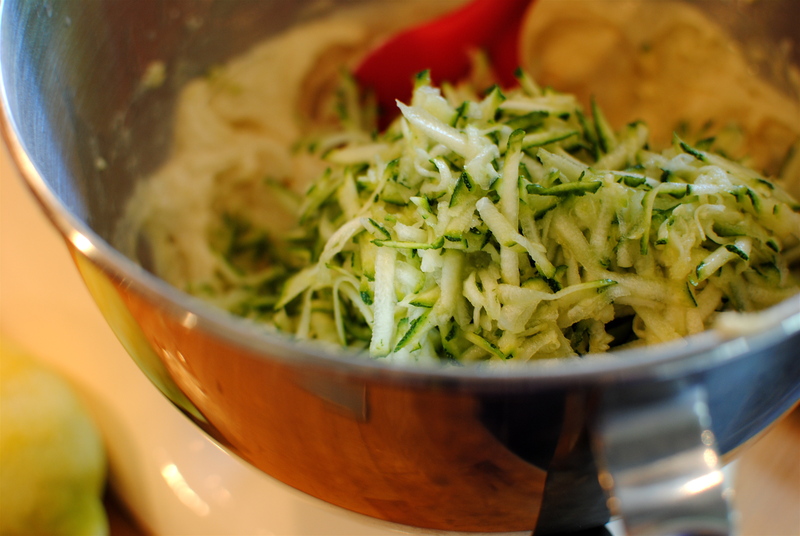 With a light hand, fold in the courgettes, zest and seeds and pour into the lined tin. Bake for 25-30 minutes. About eight to ten minutes less for muffins, but check. These look wonderful :). Just the sort of thing to pop into your mouth before you chase them with some nice strong tea before heading out into the garden to do some serious damage to some bolshie weeds :).